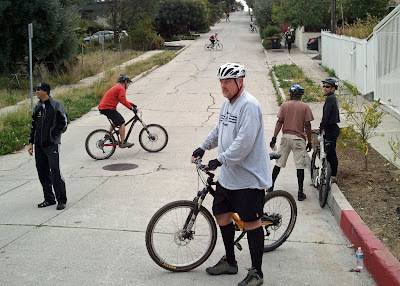 This year Kevin and I attended LA Wheelmen's Annual Fargo Street Hill Climb competition. There were fewer attendees than last year and I think a big reason was the impending rain. 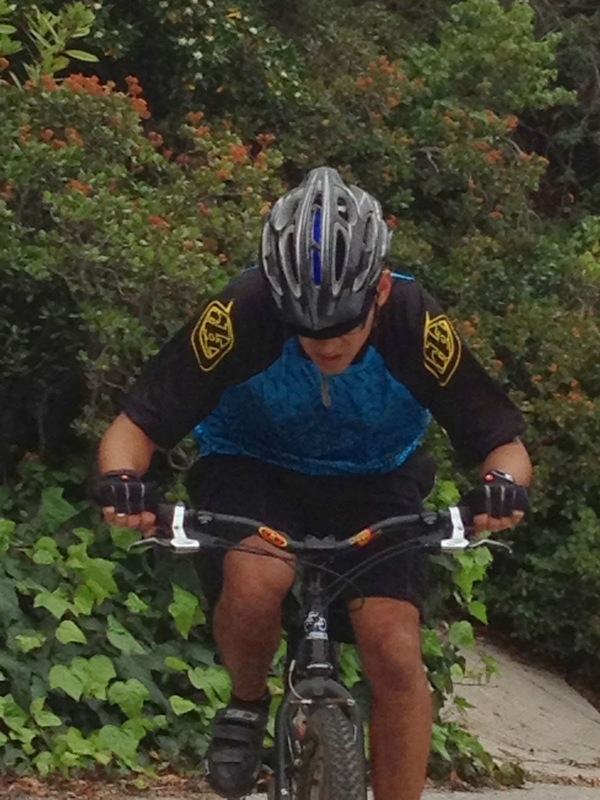 Die hard cyclist, intent on breaking records, were out early this year to beat the rain. Fargo Street is the second steepest hill in the USA at a staggering 33% grade. LA Wheelmen hold their annual hill climb that gets more and more popular every year. Racers get an LA Wheelman PATCH if you make it up at least once without touching down with your foot. A few years ago Huell Houser came to watch and this year Channel 7 and some cable news van were out to report on the event. I think the Fargo Street Hill Climb is going to be part of Kevin's and my annual tradition. 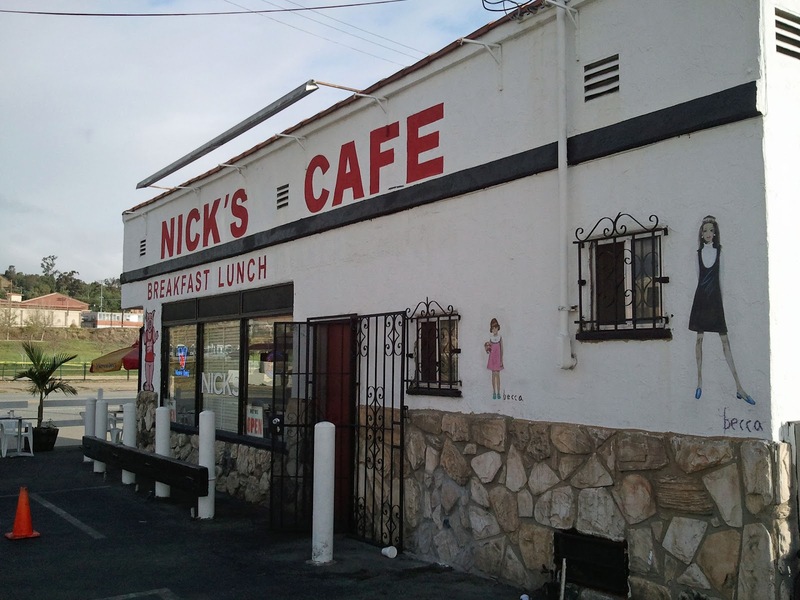 The Fargo Street Hill Climb tradition dictates breakfast at Nick's Cafe, two eggs, hashbrowns, toast, country sausage and grits for me! Nick's Cafe is right across the LA Historical Park were I raced CX late last year. After Nick's we headed to Fargo Street. We were officially a half hour early but the competition was already under way. We registered and Kevin had the honors of starting up the hill first. 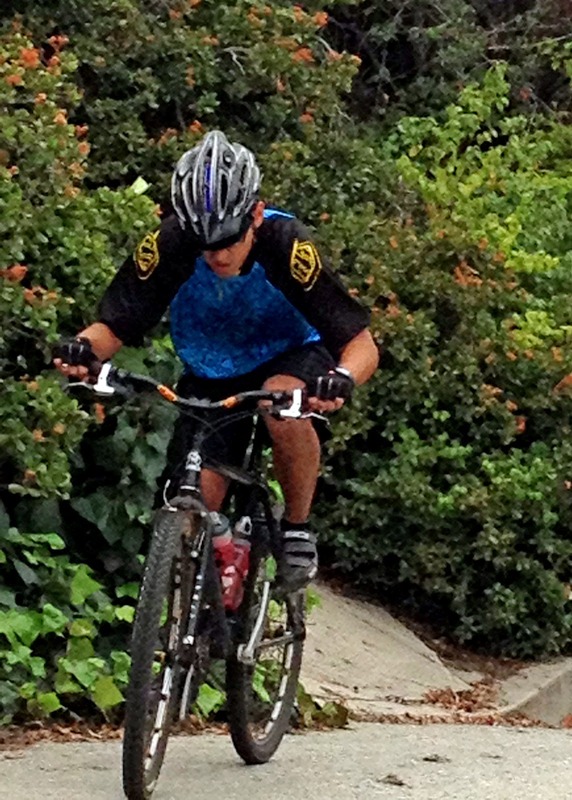 Last year he crashed out, this year he was better prepared for the short but intense climb up Fargo. Days and minutes leading up to the hill climb we talked about strategy. 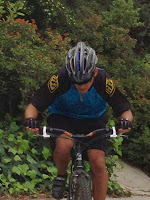 How best to approach the climb, when to pedal, how to pedal, when to zig-zag and snake across the road. It's possible to muscle up Fargo but I've seen less than a handful strong enough to do so. And even at that, those that do only attempt it once or twice before calling it a day. So Kevin starts his climb, I'm there with the camera and support. The coordinator asks him its his first time to which Kevin says, "I tried last year but crashed out." The coordinator then sends Kevin off and says you are in your middle chainring. FAIL. Quickly Kevin shifts down and he's off. There's no point being in any other gear than your GRANNY GEAR. I run up along side Kevin shouting words of encouragement and bits of advice. He's looking good and he's made it half way up. Half way up, he cuts in, snaking up Fargo a few more feet and fatigue is setting in. DAMN Fargo Street is a beast! Kevin's getting tired and Fargo Street isn't getting any less steep, he touches down. Riders continue to make their way up Fargo, then there is an opening in the pack, and Kevin starts up again. Pedal, pedal, push, push, Kevin continues on and at about two-thirds of the way, Fargo wins. Kevin touches down again. He takes a small break and the goal is to just get to the top. He starts up again and pushes hard up the final 30 to 50 feet. Channel 7 is at the top and a big news camera is there to greet Kevin along with a handful of other cyclists and spectators. Last year I made it up Fargo Street fifteen times. This year my goal was 36, to signify my lovely 36 years of life. 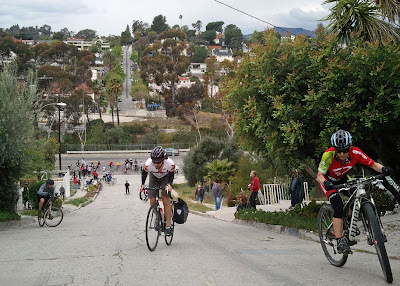 Long story short, I made it up 18 times before LA Wheelmen stopped the event. It started raining so the coordinator decided they had enough and it probably isn't a good idea riding up a steep a$$ hill in the rain. The first 5 times up were hard. After that, I settled into a groove and just kept going. When I made it up the eighteenth time the score keeper said the event is over due to the rain and I zipped back down with hopes of trying to get at least 2 more before it was "officially" over. I started to make my way up the nineteenth time and the coordinator cut me short. All in all the event was a success and I look forward to next year.